For decades astronomers have told us that the Big Bang that occurred about 13 billion years ago was the beginning of the universe. We have been told that the universe began in this event, in which the universe began expanding from an infinitely dense point, with incredible heat and density in its first seconds. Has something new been discovered to overturn this view? No, not at all. It's just Ethan Siegel playing redefinition games in a very confusing fashion. There is no substance at all in Siegel's announcement, and nothing new has been discovered about the universe's beginning. Here's what's going on. About 15 years after getting the best evidence for the Big Bang (the discovery of the cosmic background radiation), scientists began to make a speculation about something that may have happened when the universe was about a trillionth of a trillionth of a trillionth of a second old. This speculation is called the cosmic inflation theory. It is speculated that when the universe was only about 10-35 second old, it underwent for a fraction of a second a period of exponential expansion, and then returned to the normal, linear rate of expansion we now observe. This strange speculation is called the cosmic inflation theory. That name is one of the most confusing labels ever put on a science theory. When discussing this cosmic inflation theory, you must not fall into the trap of thinking that the universe's expansion at, say, 10 seconds after the Big Bang was an example of “cosmic inflation.” You must remember that this term “cosmic inflation” refers only to something that supposedly went on during the first second of the universe's history. Now Siegel wants to introduce a new confusion. He wishes to redefine the term “Big Bang” so that it only refers to what happened after this alleged period of cosmic inflation that supposedly occurred in the universe's first second. So Siegel wants us to start thinking: first there was the cosmic inflation, and then there was the Big Bang. Redefining the term "Big Bang," he says, "The hot Big Bang definitely happened, but doesn't extend to go all the way back to an arbitrarily hot and dense state." By making this attempt at redefining the Big Bang (as something that did not occur at the very beginning), Siegel is out on his own. This is not the way the majority of cosmologists speak, and this is not the way they have been speaking about the Big Bang for the past 50 years. For 50 years cosmologists have been talking about the Big Bang as if that term means: what happened at the very beginning of our universe. 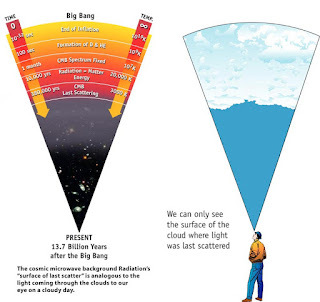 For example, in the visual below from a NASA web site, we see the Big Bang referred to as something occurring before the alleged period of cosmic inflation, not after it (Siegel proposes the opposite order, that we think of the Big Bang as occurring after cosmic inflation). Siegel has been pushing this attempt to redefine the Big Bang for quite a while, but there is little evidence that other cosmologists are following him in this matter. Most cosmologists continue to use the term “Big Bang” as they have done for the past 50 years, to mean the event that started the universe. The majority of cosmologists continue to speak as if the Big Bang began at the very beginning, Time Zero, not some time after Time Zero. They mainly continue to speak as if the Big Bang was the very beginning of time. There is no substance behind any attempt to redefine the Big Bang as something that began later than the very beginning. Nature does nothing to support such a redefinition. The cosmic inflation theory (that there was some special period of exponential expansion during the universe's first second) is unproven, very farfetched, and not supported by any compelling evidence. There are good reasons for rejecting such a theory, discussed by Paul Steinhardt at Princeton University, and in this post and this post. Among the reasons is that the theory conflicts with findings about anomalies in the cosmic background radiation. Were we to redefine the Big Bang so that it does not refer to the very beginning, it would be a kind of arbitrary semantic silliness similar to redefining the word “human” so that it does not refer to people with very dark skin. Whenever such a very arbitrary redefinition is proposed, we should ask: who is attempting to help himself or his kind by proposing such a redefinition? Just as a politician might wish to redefine “human” to make things easier for his own kind, a cosmologist might wish to redefine “Big Bang” to make it easier to place a triumphal gold medal around his own neck. But explanatory triumphs are not earned by arbitrary redefinition. Rather, the Multiverse is a theoretical prediction that comes out of the laws of physics as they’re best understood today. It’s perhaps even an inevitable consequence of those laws: if you have an inflationary Universe governed by quantum physics, this is something you’re pretty much destined to wind up with. This is extremely erroneous. The "inflationary universe" is not at all "the laws of physics as they're best understood today," but instead a family of speculative cosmological theories, not well supported by evidence. Later on in the post he admits that it could be "our ideas about inflation are completely wrong" and that in that case "the existence of a Multiverse isn't a foregone conclusion." You do not substantiate one speculation by pointing out it is implied by some another speculation. The Royal Society (the United Kingdom's oldest science organization) has released a slick information guide pitching genetically modified organisms (GMO's). It's a document giving 18 answers to 18 questions about GMO's. There were eight groups in total and 66 members of the public took part. Participants were recruited for a range of views based on those for and against GM or who were undecided, in order to reflect the findings of a nationally representative survey on the subject. But these focus groups were just kind of a smoke screen, because we are then told that “the following set of 18 questions was the outcome of the responses from the focus groups,” and that the answers to the questions were written by “a group of experts who have endeavored to ensure the answers are factual, as much as possible, and not associated with any value judgment.” So the focus groups were ignored when writing the answers to the questions. That's hardly a technique for providing a balanced examination of an issue. The claim that the answers in the document are “not associated with any value judgment” is misleading, because the answers do actually make value judgments such as favorable judgments about genetically modified crops. Asking “Is it safe to eat genetically modified crops” is not asking the right question, because “is it safe” questions are so vague and debatable that almost any answer can be justified. Is it safe to drink three glasses of vodka a night, or to drive at 70 miles an hour on the highway, or to live in a beachfront house in Florida (where hurricanes are common)? It is easy to make a case for either the “yes” or “no” answers. A much better question to ask is: is there a reasonable chance that you will be harmed if you consume genetically modified crops? The answer to this question is: yes, there is. Such a chance is probably much less than 50%, but it is substantial nonetheless. The roles that genes play are often extremely complex and obscure. It is not very unlikely that we may discover harmful effects from genetically modified food. While each genetically modified crop may be tested before it is released, there is still the possibility that eating certain combinations of genetically modified crops might turn out to be dangerous. Similarly, neither carbon nor oxygen is harmful in itself, but a certain combination of them (carbon monoxide) can be fatal. A study published in 2012 found that a genetically modified crop and a herbicide it was engineered to be grown with caused severe organ damage and hormonal disruption in rats fed over a long-term period of two years. Eventual consequences for some of the rats included tumors. Published in a peer-reviewed scientific journal, the study was carried out by a team led by Professor Gilles-Eric Séralini. A kind of intellectual lynch mob quickly formed, led by pro-GMO interests, which caused the paper to be retracted. The incident was a great black mark on contemporary bio-science, and seems like a very troubling attempt at a cover-up. After a long delay another scientific journal published the study. See here for other information about the study. Since the first widespread commercialisation of GM produce 18 years ago there has been no evidence of ill effects linked to the consumption of any approved GM crop....There have been a few studies claiming damage to human or animal health from specific foods that have been developed using GM. 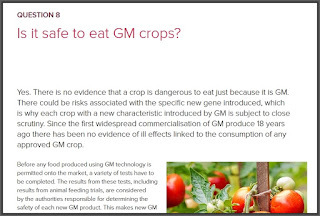 Should we think that genetically modified foods are very safe on the grounds that “Since the first widespread commercialisation of GM produce 18 years ago there has been no evidence of ill effects linked to the consumption of any approved GM crop”? Not necessarily. As they say in the investment industry, “Past results do not guarantee future results.” The fact that something hasn't yet produced much harm doesn't show it won't produce harm in the future. The passengers on the fatal flights of the Hindenberg and the Challenger probably thought they were safe, on the grounds they were using technology which hadn't failed in quite a long while. 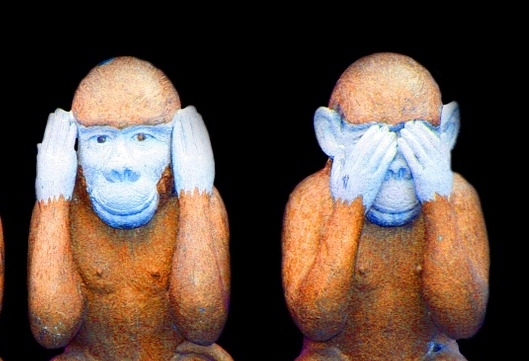 Beware of experts telling you something is safe based on a past performance record. At about the beginning of 2008, the financial experts such as Standard and Poor's told us that CMO tranches were a very safe investment, based on their previous performance record. But in 2008 such investments experienced a disastrous large-scale failure, with defaults aplenty, and investors losing billions. If something unexpected like that happens with genetically modified foods, we might see a large-scale loss of life. See this link for a critical analysis of the deficiencies of the Royal Society document on GMO's, which has some notable omissions and inconsistencies. The Royal Society information guide answers 18 questions about genetically modified food, but it doesn't answer the question below, which would make a useful addition to their guide. A recent ethically troubling news story tells us, "The blueprint for life - DNA - has been altered in human embryos for the first time in the UK." This raises the question: what will they do with the monsters that will result from trial-and-error experimentation with DNA in human embryos? 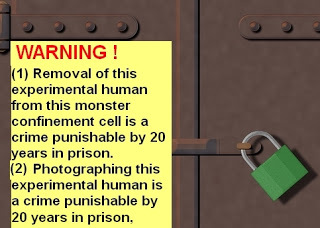 Will they coldly kill off such bad results, or lock them up, as suggested in the speculative visual below? This is a very poor analogy – an inappropriate metaphor. The appearance of a new type of macroscopic organism involves all kinds of complex parts appearing on the scene in an incredibly intricate and coordinated way, so that great functional coherence is achieved. But climbing a mountain does not involve any type of event in which complex parts are assembled. Climbing a mountain doesn't even involve complexity. So mountain climbing is a terrible analogy for achieving some stunning wonder of coordinated biological complexity. We can imagine all type of analogies that would have been more appropriate for describing blind processes producing complex biological structures. One such analogy would be the idea of trees in a forest luckily forming into a log cabin, or stones randomly forming into a stone house. 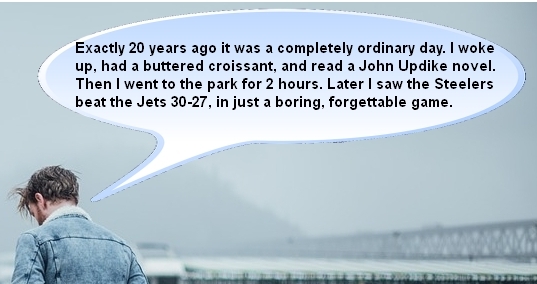 But such analogies would throw unwanted light on the difficulties of random processes forming coherent structures. So rather than using such an analogy, Dawkins has chosen an inappropriate analogy that seems to have been chosen purely for its rhetorical advantages. In this sense he's followed in the same steps as Darwin, who gave us the inappropriate metaphor of “natural selection,” a term suggesting incorrectly that nature chooses things. The metaphor is not literally accurate, because strictly speaking only conscious agents choose things. The idea of survival of the fittest can be stated without a metaphor by using either the term “survival of the fittest” or “differential reproduction.” So why did Darwin make such use of the metaphorical term “natural selection”? Probably for the same reason Dawkins has chosen a mountain-climbing analogy: for rhetorical advantage. Once a person has been persuaded that the evolution of incredibly complex machine-like functionality is like mountain-climbing, the same person might be persuaded that such an end was easily achieved by “walking up the easy back route,” because there are often “easy back routes” leading to mountain tops. But since mountain-climbing doesn't involve even the simplest combination of parts, you are deluding yourself if you think that this mountain-climbing analogy is suitable for describing the appearance of wonderfully coordinated biological machinery. On page 77 of the book, Dawkins tries to suggest that Darwinism is not a theory of chance. He says, “It is grindingly, creakingly, crashingly obvious that if Darwinism were really a theory of chance, it couldn't work.” But, of course, Darwinism is a theory of chance, the claim that the combination of blind chance mutations and natural selection is enough to produce the origin of new species. As Dawkins says on page 80, “One stage in the Darwinian process is indeed a chance process – mutation.” So on one page he talks as if Darwinism isn't a theory of chance, and a few pages later he's talking as if it is just that. Dawkins admits on page 81 that mutations usually have bad effects, not good effects. That is a severe understatement, and a more candid statement would have been to say that for every mutation that is helpful, there are hundreds or thousands that are harmful. On page 96 Dawkins tries to suggest the idea of macromutations, that a single mutation can cause a huge change in an organism. He asks, most ridiculously, “Couldn't the elephant's trunk have shot out in a single, giant step?” We know why he wants to suggest this old “hopeful monsters” idea. If macromutations can occur, then rather than have to believe that lots of favorable mutations were needed for some biological innovation (something incredibly unlikely to occur by chance), we can believe that in some cases a favorable innovation arose from a single macromutation. Macro-mutations do happen. Offspring are sometimes born radically, monstrously different from either parent, and other members of the species. The toad in figure 3.2 is said by the photographer, Scott Gardner of the Hamilton Spectator, to have been found by two girls in their garden in Hamilton, Ontario. He says that they put it on the kitchen table for him to photograph. It had no eyes at all on the outside of its head. When it opened its mouth, Mr. Gardner said, it seemed to become more aware of its surroundings. Macromutationism is the idea that important evolutionary changes between groups were produced by single mutations with very large effects....The notion of macromutationism pops up every few years in evolutionary biology. It’s wrong but it’s resilient. Referring to the fossil record, on page 106 Dawkins makes the damaging admission that “Transitional forms are generally lacking at the species level.” Why should there not be a vast abundance of transitional forms in the fossil record if Darwinian theory is correct? One of the great difficulties in natural history is explaining the origin of flight, where we have the wing-stump problem. For flight to have appeared, a transitional species would presumably have to have had a mere wing stump. But wing stumps are not at all useful, so we cannot explain the appearance of such a thing by saying that it provided some survival benefit. In none of these cases is there any difficulty in finding a gentle path up Mount Improbable. Indeed, the fact that the gliding habit has evolved so many times testifies to the ease with which these mountain paths can be found. Possibility 1: Species have originated merely through natural selection and random mutations. Possibility 2: Species have originated through the action of some mysterious cosmic life-force or cosmic programming that acts throughout the universe as an organizational principle. Possibility 3: Species have originated because extraterrestrial spaceships have periodically arrived and planted new life forms on our planets. Possibility 4: Species originate when new types of life stray into our planet after spacetime wormholes open up leading from some other dimension to our planet. Possibility 5: Species originate because some divine creator or angel causes them to appear. 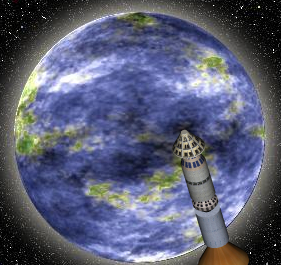 Possibility 6: We are living in a computer simulation created by extraterrestrials, and all fossils found are simply details added by them as kind of "backstory details" to flesh out the simulation. 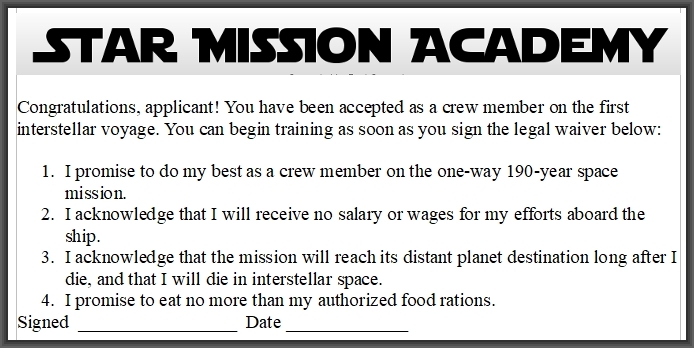 Since we don't know which of these is true, we cannot appeal to the fact that some feature exists in multiple life forms as something that helps to substantiate any of these claims; because such a thing might happen under any one of these scenarios. In the case of gliding, we have no known cases of gliding that have been proven to have been produced by natural selection and random mutations. So the mere fact that gliding has appeared in multiple species does nothing to support the claim that gliding could have easily appeared by natural selection and random mutations. There are, in fact, very strong reasons for believing that a feature such as gliding could not have appeared through natural selection and random mutations. Let us consider the nature of gliding. Gliding between trees or branches requires an incredibly precise coordination between muscles, bones, web-like structures between limbs, eyes, and brain – for animals must not only land on a distant tree branch, but also be able to land on the branch without falling. If that coordination isn't just right, it will be very harmful or suicidal for an animal to try to glide between trees; for the animal will fall to the ground. Developing gliding is similar to developing a suspension bridge, in the sense that until the functionality is almost completed, what you have is functionality that will be suicidal if you try to use it. The table below illustrates the point. So it seems that the appearance of gliding cannot be explained using Darwinian ideas. We have no explanation of how a species would have evolved the first 10% or the first 20% of gliding functionality, which would have had no “survival of the fittest” benefit. It's the same type of problem involved in trying to explain the evolution of flying without imagining gliding, which gives us problems such as the fact that there would be no survival benefit if just a wing stump ever appeared. Then there's also the fact that if one imagines gliding animals turning into flying animals, you have no explanation of how all the changes occurred needed to change from gliding animals to flying animals. Trying to explain how Darwinian evolution could have produced “the development of gliding” plus also “the evolution from gliding to flying” is not easier than trying to explain how Darwinian evolution could have produced only the evolution of flying. For the reasons giving above, trying to make the evolution of birds seem easy by suggesting that nature first evolved gliding animals and then evolved birds from such animals is like reasoning that it's not very hard to climb to the top of the Met Life skyscraper in midtown Manhattan using outer wall climbing, because you can first climb the outer walls of the Chrysler building and then jump to the top of the nearby Met Life skyscraper. Alternate theories discussed by Dawkins to account for the origin of flight are not any more credible, and we can chuckle at his suggestion that perhaps feathers were first developed to catch insects. Dawkins has no clear story to tell us, saying that “perhaps birds began flying by leaping off the ground, while bats began by gliding out of trees” while adding that alternately “perhaps birds too began by gliding out of trees” (page 126). Such uncertainty does not amount to a convincing story of how flight appeared in birds. Extremely complicated changes in the brain needed for an organism to make use of inputs from the eye. These parts are so complicated that even the most primitive vision system providing a minimal benefit will require an extremely complicated invention exceedingly unlikely to appear by chance, as unlikely as falling trees forming into a nice roofed log cabin. You cannot explain such an invention merely by describing how a primitive eye could appear. To try to explain how a primitive eye could appear, Dawkins appeals to a scientific paper published by Nilsson and Pelger, and Dawkins inaccurately describes this as a “computer model.” The paper does not actually describe any computer model or computer simulation. The paper describes how a circular patch of light-sensitive cells could change into a curved cupped eye, conveniently assuming that it underwent exactly the changes that would bring about such a thing (which would be most unlikely to occur given the thousands of possible ways that random mutations might change the appearance of such a flat circular patch). The paper cheats by assuming that such a flat circular patch of light-sensitive cells would come to exist before it had any usefulness. The paper also includes absurd statements such as “The evolution of an eye can thus be compared to the lengthening of a structure, say a finger, from a modest 8 cm to 8000 km, of a fifth of the Earth's circumference.” That is wrong because the evolution of an eye would be the assembly of a very intricate arrangement of coordinated parts, something vastly more complicated than just a mere lengthening of an object. I can describe the type of smoke-and-mirrors trick involved in Nilsson and Pelger's paper. It works like this: given some complex functional arrangement of parts that is incredibly hard to achieve by chance, you try to make it look easy by ignoring 45% of the arrangement, and also assuming that another 45% of the arrangement was conveniently there to begin with; and then you argue that it's easy to make the arrangement because it's not too hard to make the remaining 10%. So, for example, someone might argue that it's pretty easy to make a suspension bridge, by ignoring the whole superstructure (the towers and the steel cables), and just assuming that the huge complicated substructure (leading down into the river) just happens to conveniently exist, and then kind of talking as if making a suspension bridge is as easy as building a road. This is very close to what Nilsson and Pilger have done. They've simply ignored the requirements of an optic nerve and the incredibly complicated brain changes needed for vision, and they've assumed that the light-sensitive cells (so hard to achieve because they require fantastically improbable and intricate light-capturing proteins) were just there to begin with. Having either ignored or assumed the prior existence of 90% of a vision system, they then argue that the remaining part is easy, so it's easy for animals to get vision. This is a huge fallacy which Dawkins repeats, because he's so very eager to believe that vision is an easy hurdle for evolution to jump over. Ignoring the almost unfathomable intricacy of a vision system, Dawkins seems to think that explaining eyes is as easy as explaining how some cells might simply form into a cup-shaped curve. Similarly, a person might fallaciously claim that it's real easy to make a camera, because all you need is a little box shape – or that it's easy to make a moon rocket, because all you need is a big tube shape. Light-absorption converts 11-cis retinal to all-trans-retinal, activating rhodopsin. Activated rhodopsin catalyzes replacement of GDP by GTP on transducin (T), which then disassociates into Ta-GTP and Tby. Ta-GTP activates cGMP phosphodiesterase (PDE) by binding and removing its inhibitory subunit (I). Active PDE reduces [cGMP] to below the level needed to keep cation channels open. 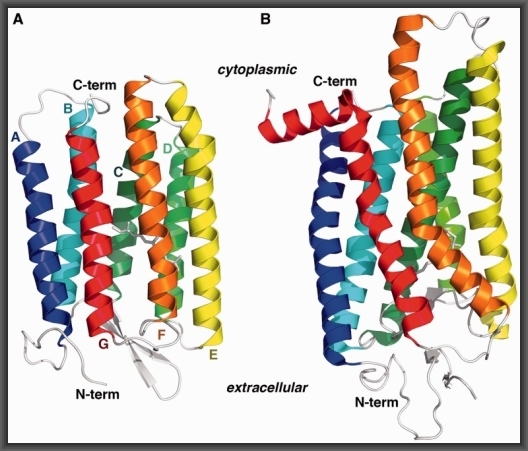 Cation channels close, preventing influx of Na+ and Ca2+; membrane is hyperpolarized. This signal passes to the brain. Continued efflux of Ca2+ through the Na+-Ca2+ exchanger reduces cytosolic [Ca2+]. Reduction of [CA2+] activates guanylyl cyclase (CG) and inhibits PDE; [cGMP] rises toward “dark” level, reopening cation channels and returning Vm to prestimulus level. Rhodopsin kinase (RK) phosphorylates “bleached” rhodopsin; low [Ca2+] and recoverin (Recov) stimulate this reaction. Arrestin (Arr) binds phosphorylated carboxyl terminus, reactivating rhodopsin. Slowly, arrestin dissociates, rhodopsin is dephosphorylated, and all-trans-retinal is replaced with 11-cis-retinal. Rhodopsin is ready for another phototransduction cycle. We have no mention of any of these complexities in Dawkins' book, which show the absurdity of his claims that it's easy to get an eye. The text above mentions proteins that are far more structurally complicated than a primitive eye, such as a rhodopsin protein specified in a gene that uses 1000+ base pairs to specify the protein. With a vision system we have the same type of “uselessness of a wing stump” problem in explaining the origin of flight. Aquatic animals are believed to be the first that had eyes. But imagine an aquatic animal with only the poorest type of vision, the type of vision you have if you cover your eyes with 2-ply toilet paper. With such vision the aquatic animal couldn't tell if other aquatic animals are far away, but it could only tell if they are very close (seeing just a very blurry blob ahead of itself). But a blind aquatic animal could already tell when another aquatic animal is very close, from its splash (and in a sea of blind fish, if you're a blind fish you will have other fish frequently bumping into you). So if a blind aquatic animal in a sea of blind aquatic animals gets the weakest type of vision, some extremely blurry vision, it doesn't produce a benefit. Very weak vision might also allow an aquatic animal to know which way was up in the water. But a blind aquatic animal could already tell that from temperature changes in water and pressure changes (the deeper you go, the colder it is and the greater the pressure). And an aquatic animal doesn't need to know which way is up in the water. So the poorest type of vision would have no survival value for an aquatic animal. If there were to be some incredibly improbable set of random mutations allowing the poorest type of vision, that would not be rewarded. For an aquatic animal, there is no series of gradual changes, each rewarded, that leads to the advanced functionality of vision. 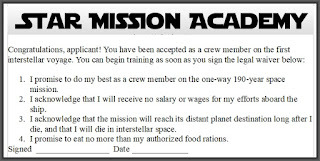 There is instead a high functionality threshold that must be reached before any survival reward is obtained, involving a complex, highly coordinated arrangement of parts needed to get something better than the weakest type of vision. We cannot explain how such a high threshold could be reached through random mutations and natural selection. For the threshold to be reached, too many complex parts have to be assembled with too much coordination. 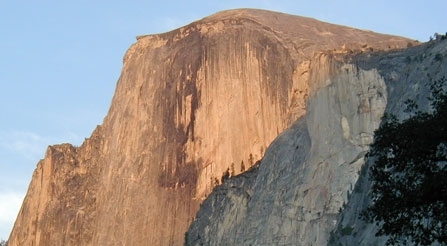 Far from being an “easy back route,” this is a high cliff like the front face of Half Dome in Yosemite. Natural selection is merely a dumb filter, something that can filter out bad designs but cannot explain the appearance of good designs. There is a very general reason why random mutations plus natural selection (a survival reward for greater fitness) cannot explain the origin of complex biological functionality. The reason is that the early stages of bringing into place such functionality would in general not yield rewards. Fragmentary implementations yield only very poor rewards or no rewards at all, and it is usually true that no reward is produced until a large fraction of an implementation is produced. So in almost all cases it is not possible to describe a pathway by which a series of random gradual changes could yield very complex functionality, with the early parts of the pathway producing a significant reward. If there is no reward in the early parts of the implementation pathway, it is gigantically improbable that nature would walk down that pathway, which would be only one of quadrillions of possible random paths. The diagram below illustrates this point. 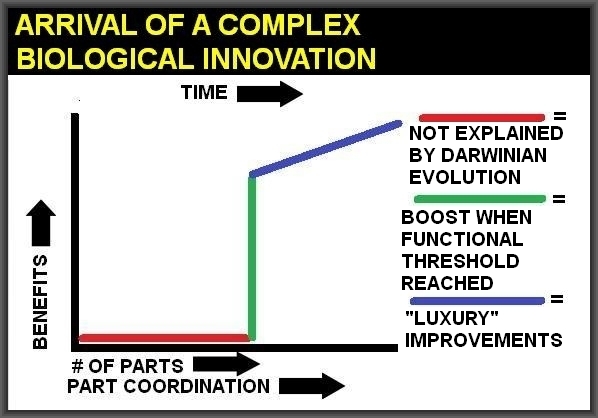 The part in red represents the initial stages of a biological innovation, stages that are pre-functional and therefore not explained by an appeal to natural selection, which can only come into play once a functional threshold has been reached. Dawkins tells us that eyes independently evolved 44 times, and scientists say that random mutations would have to occur 100 times for a particular biological innovation to become fixed in the gene pool. This means our orthodox Darwinist is required to believe that 4400 times blind chance produced a vision system, which is rather like believing that 4400 full water-tight log cabins have been produced by random falling trees in forests (although the latter is far more likely). Given the intricacy of a vision system, vastly greater than a log cabin, we would not expect a vision system to have arisen by chance mutations and natural selection even once in the history of our galaxy. So when Dawkins tells us that an eye can appear on the evolutionary scene “at the drop of a hat,” your fairy tale alarm should start ringing very loudly. Considering all of its required parts (including very complex brain changes, fine-tuned proteins, an optic nerve, and intricate eye anatomy), a vision system is one of the most complex cases of organized functionality known to man. Adherents of the Darwinian “modern synthesis” have no way to account for this, for they lack any theory of organization. Darwinism is a theory of accumulation, not a theory of organization – the accumulation of random changes by mutations. As an evolutionary biologist confessed recently, “Indeed, the MS [modern synthesis] theory lacks a theory of organization that can account for the characteristic features of phenotypic evolution, such as novelty, modularity, homology, homoplasy or the origin of lineage-defining body plans.” But what do some people do when they have to explain mountainous levels of organization, and they lack a biological theory of organization? They try to fake their way through, by using verbal tricks, carefully selective prose and omissions to try to make the mountain of organization look like a mere molehill of organization. We may compare Darwinian evolution to a man trying to build elaborate structures, but who is acting under two handicaps. The first is that he has a refrigerator-sized steel block chained to his leg. 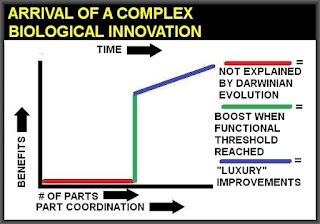 The block (causing such slowness) symbolizes the fact that Darwinian evolution relies on favorable random mutations to achieve innovations, but such mutations should be so rare that waiting for them means the Darwinian evolution of complex macroscopic innovations should work no faster than a snail's pace. We may also imagine that this man has been commanded to operate under a rule of “do 100 harmful things for every useful thing you do.” Such a rule symbolizes the fact that for every random mutation that is helpful, there are very many that are harmful. How fast should such a man be able to build useful structures? Never faster than an insanely slow pace. So if the fossil record shows something like the Cambrian Explosion, in which every major phylum of animal now existing appeared in a relatively short time, we must suspect something was going on much more than just Darwinian evolution by random mutations and natural selection. Any convincing naturalistic attempt to explain the origin of vision and the origin of other complex biological functionality would devote a great deal of time to explaining the exceptionally fine-tuned and intricate biochemistry of life, and would also devote a great deal of time to explaining how it is that so many fine-tuned proteins came to arise in human biology. For countless proteins there is what is called a steep fitness landscape. This means that the proteins can only function well if they have a small number of states very similar to their existing states. Explaining the origin of such proteins is a nightmare for thinkers such as Dawkins who maintain that nothing but blind chance and natural selection brought these proteins into existence. Calculations repeatedly indicate that it would take something like ten to the seventieth power tries or search attempts for nature to find a particular type of protein known to exist; and there are thousands of such proteins in the human body. The number of search attempts that nature would have time to accomplish in the history of the earth is some number trillions of times smaller. Dawkins book fails completely in its attempts to show “easy back routes” by which Darwinian evolution could produce great wonders of complexity. He fails to provide a single example of some impressive piece of macroscopic biological functionality that has been proven to have been produced by natural selection and random mutations. No such example exists. Dawkins also fails to provide a single plausible story leading us to think that natural selection and random mutations would have been capable of producing any impressive piece of very complex macroscopic biological functionality. In this regard Dawkins is in good company. The passage on vision biochemistry that I quoted is from page 459 of the 1119-page biochemistry textbook Lehninger Principles of Biochemistry. The book gives us a thousand pages of description of the most intricate machine-like biochemistry in the human body, but does basically nothing to explain how this functionality could have originated (apart from a short pro-forma review of Darwinism tenets, which don't specifically deal with biochemistry). There is endless discussion of proteins, but when I look up “proteins, evolution of” in the index of the book, I am referred to 5 pages that make no substantive clarification as to how fine-tuned proteins could have naturally evolved. How did we get all these thousands of fine-tuned proteins, each so fantastically unlikely to have arisen by chance? Our 1119-page biochemistry textbook has no real answer. Similarly, the 1041-page textbook Biochemisty by Lubert Stryer of Stanford University is notable for making no substantive attempt to explain the origin of any part of the wonderful biochemical machinery it discusses. The index of the book lists only 20 pages referring to evolution, and when I look up those pages I find only passing or incidental references to evolution. Mentioning Darwin in only one paragraph, with only a passing mention, the 1041-page book lacks even a substantial exposition of Darwinian theory, and doesn't even mention natural selection in its index, ignoring the topic of the origin of life and the origin of proteins. Which is not what we would expect if Darwinian theory were useful in explaining the origin of life or very complex biochemistry machinery. It is not clear how natural selection can operate in the origin of folds or active site architecture. It is equally unclear how either micromutations or macromutations could repeatedly and reliably lead to large evolutionary transitions. What remains is a deep, tantalizing, perhaps immovable mystery.